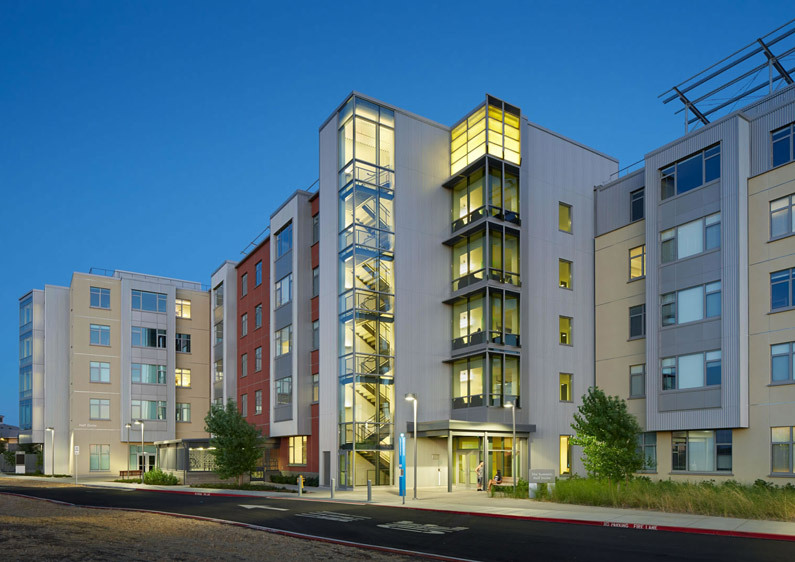 The Summits is the newest student housing complex at UC Merced. 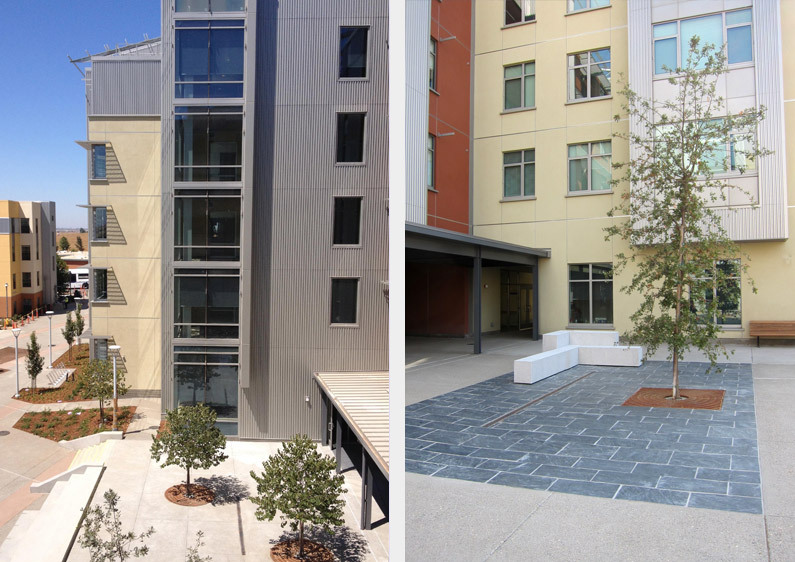 Completed in 2013, the project provides housing for 530 students as well as a game lounge, multi-purpose class and meeting rooms and residential support services. The ground floor public spaces are organized around a south facing outdoor courtyard that overlooks the common open space shared with the adjacent residential building. The courtyard has stepped amphitheater seating for casual gathering or programmed events. The courtyard is planted with a native specimen Valley Oak and flowering trees which will provide summer shade and seasonal interest for this important gathering space. The project was awarded LEED Platinum.